Snapshots – Our Stories Matter…. The grand opening of the Stoddard Johnston Scholar House is Monday, March 26th at 10am. This morning, a wonderful group of volunteers spent several hours on the campus getting it ready for the coming celebration. 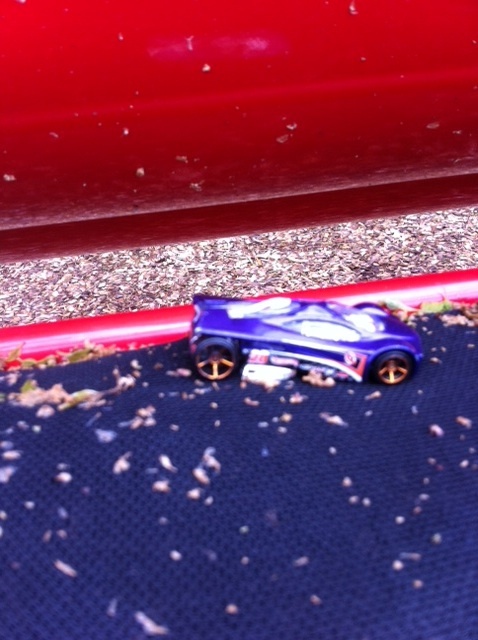 One of the volunteers came upon this toy car, nestled in one of the beds of the children's garden at SJSH. Gentle and tender reminder, this car, of the children who ARE Family Scholar House. 264 of these children live on our three Louisville residential campuses. Hundreds more wait for housing. All of them challenge and inspire us to be even better at what we do--because it is, after all, FOR THEM that we do it in the first place. The Holidays: according to our youngest scholars…. 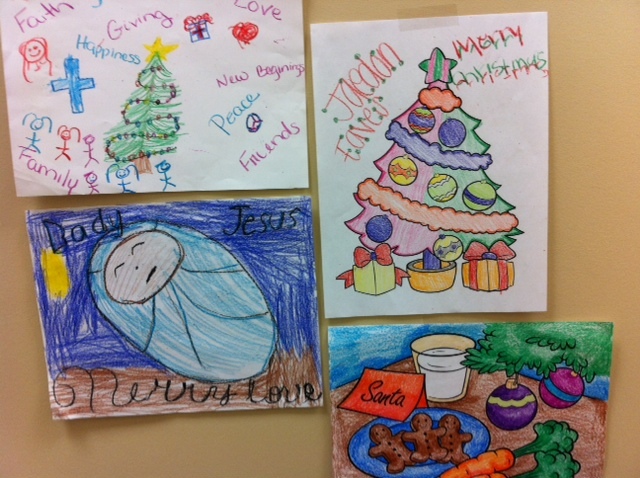 When instructed to "draw or color a picture that represents what the holidays mean to you," these pictures are what some of our FSH children--our youngest scholars--produced. For these children, and their understanding of community, generosity and thanksgiving, we are thankful. We know that among them are fine future leaders, and we're lucky to get to be a part of their beginnings.